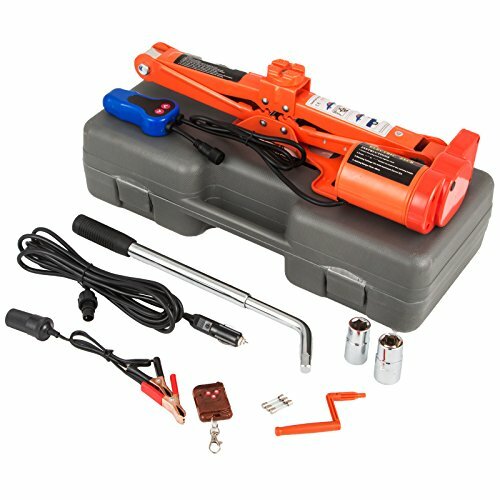 This electric scissor jack set is able to work with car cigarette lighter power or car battery. By controlling lift switch, the mechanical part of the jack can be adjusted freely and smoothly, thus lifting car tires fast. This tool set also includes remote control, which makes your work even easier. With its 3 ton (6600 lbs) capacity, changing tires with easiness is no longer a dream! Insert the power cord into cigarette lighter. Connect the other end of the cord to remote control. Choose a suitable place for your electric jack lift. Long press up/down button to lift or lower the vehicle.